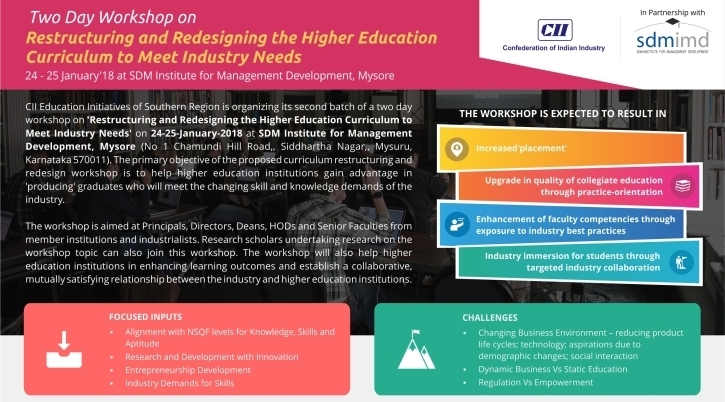 SDMIMD is collaborating with Confederation of Indian Industries (CII) - Southern Region is organizing a 2-Day Workshop on 'Restructuring and Redesigning the Higher Education Curriculum to Meet Industry Needs'. The workshop is organized as part of Education Initiatives of CII. 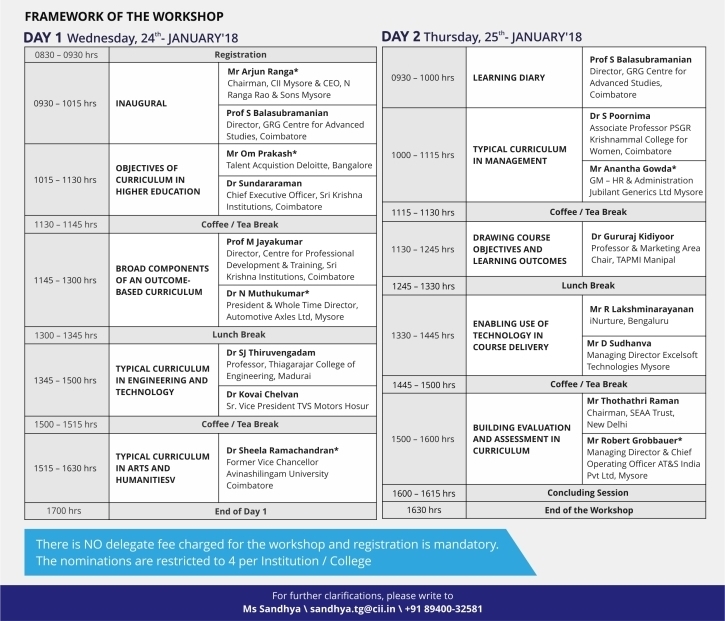 The key objective of the workshop is to discuss on curriculum restructuring and redesign and to help higher education institutions gain advantages in ‘producing’ graduates who will meet the changing skill and knowledge demands of the industry. 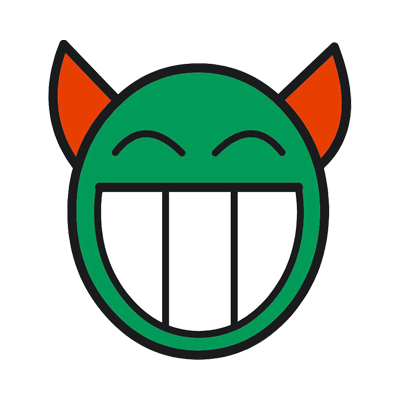 The workshop provides platform to institutions in enhancing learning outcomes; to establish a collaborative, mutually satisfying relationship between the industry and higher education institutions.